Probiotics 40 Billion is a blend of 4 strains (40 billion organisms) of Probiotic Bacteria. Our Probiotic supplement is designed to provide a high potency and balance of beneficial bacteria. By taking this product on a regular basis Probiotic-40 can help assist in maintaining healthy intestinal flora. This supplement also contains FOS to help with healthy growth of acidophilus and bifidus organisms. Probiotics as whole are designed to help with a range of problems involving the gut from Constipation to diarrhea, and have even been said to help prevent colds or help fight them off. The key to reaping the benefits of probiotics is to make sure you are taking a product that has actual live organism in it by the time it reaches you. 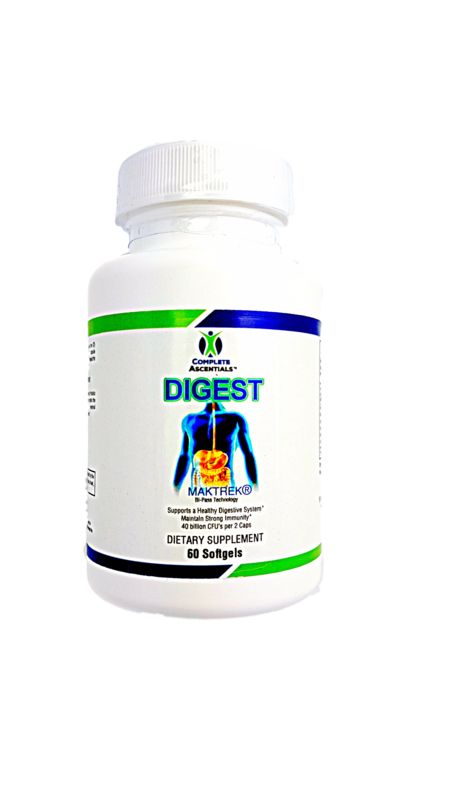 You can be reassured of this when you take Complete Ascentials Digest formula!